We all have them: The first experience. The exciting train ride. The all-day adventure. Hearing the whistle in the middle of the night. These are memories of the steam locomotive. We want to hear them and learn why you love this 765. On October 28th, the Fort Wayne Railroad Historical Society will honor “Engine no. 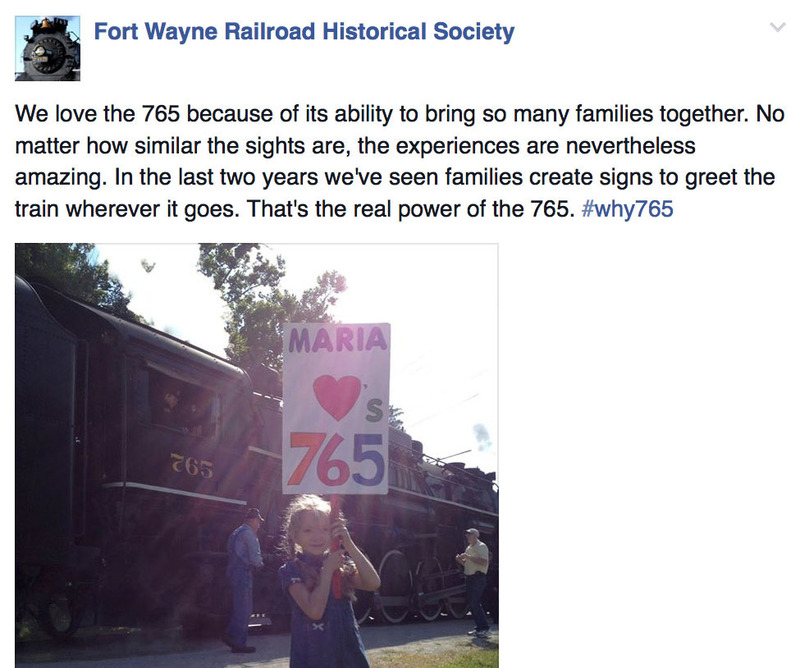 765 Day” in Fort Wayne and Allen County and mark the start of the #Why765 Campaign. Following another successful year operating historic, 1944-built steam locomotive no. 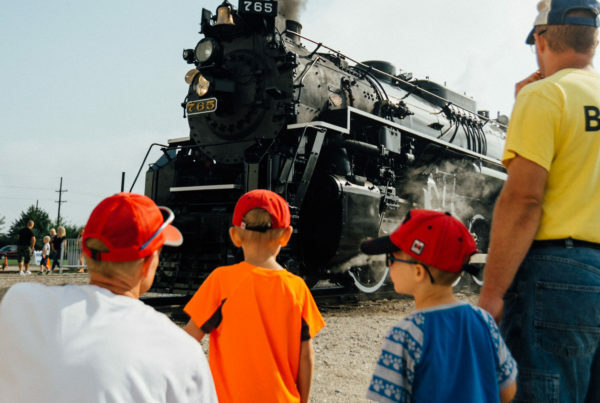 765, the railroad historical society is inviting its passengers, supporters, and members of the general public to share what the famous train means to them and why. Submissions will be eligible to win prizes, including first class accommodations on an excursion of their choice in 2015. 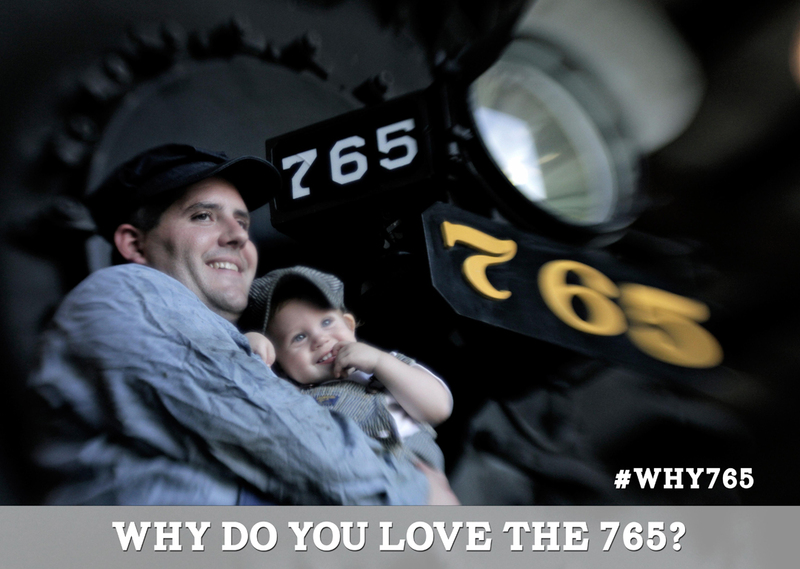 Participants in the #Why765 Campaign can enter online. Submissions must be of a personal story or memory and preferably include a photo. Submissions can be made via an online form and the story and image should also be shared on Facebook, Twitter, or Instagram using the hashtag “#Why765.” Winning submissions will be chosen based on their content, imagery, and relevance on social media. An example of a #Why765 post on Facebook. • Think of a personal story or recall a memory related to the 765. • Submit your story and respond to our survey questions by clicking the button below. • If you’re not on social media, you can still participate by completing the survey. • Submissions should be made via the online form as well as on Facebook, Twitter, and Instagram. Submissions are encouraged to include a related photo. Declared “Engine no. 765 Day” in 2005, October 28th marked the end of a major overhaul and rebuilding effort that breathed new life into the locomotive after a 12-year slumber. Between 2001 and 2005, no. 765 was rebuilt from the wheels up, having accumulated over 50,000 miles operating on passenger excursion trips between 1979 and 1993. Originally built in 1944 for the Nickel Plate Road, it was retired in 1958 and put on display in Lawton Park to commemorate the elevation of the railroad through downtown. In 1974, no. 765 was removed from the park and by 1979 was restored to operating condition. 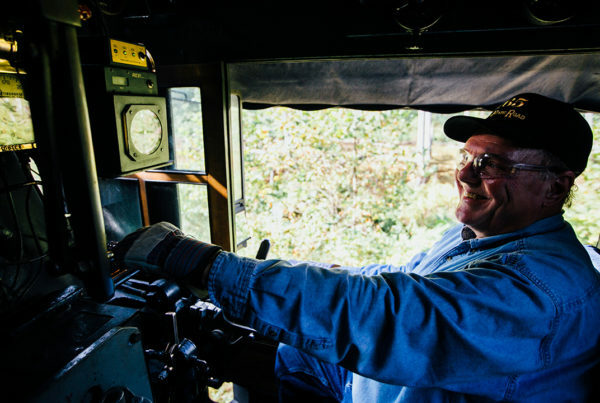 The initial rehabilitation effort was the first all-volunteer effort in the world to successfully restore and operate a mainline steam locomotive. The FWRHS boasts a membership of just under 1000 supporters and 100 full and part time volunteers from around the country. Since 2011, no. 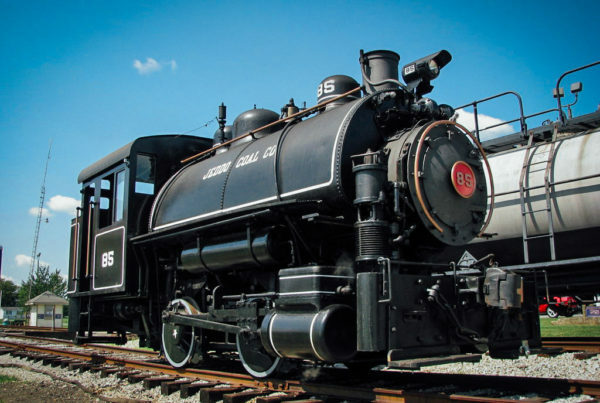 765 has featured prominently as part of 21st Century Steam, a public relations program and partnership between Norfolk Southern Corp. and the railroad historical society. The program has featured the locomotive operating sold-out trips and earning an international following. No. 765 and the collection and operations of the FWRHS are featured prominently in preliminary riverfront development plans as part of Headwaters Junction.